Wooden floors throughout a home add a sense of warmth and comfort. Even laminated wooden floors manage to look stylish, whereas hardwood floors deliver timeless beauty. And that is true for all wood types and finishes. But what is the best way to clean wood floors? Well, that’s exactly what we are going to examine in this article. Remember to check out our selection of the best wood floors of the year. To begin with, you need to clear the floor in as much as that is possible. Pick up all items and place chairs on the table. If you can, you may also like to temporarily move furniture to clean underneath each piece. Now it’s time to remove all the dry dirt. A sweeping brush can do an adequate job, however it’s best to vacuum a hardwood floor prior to wet cleaning it. Of late, microfiber dust mops have become very popular because they are designed to capture small dust particles and make cleaning a lot easier. Still, using a vacuum may be the best option, as dust gathered between the individual wooden floor boards can be difficult to remove using a dry mop or sweeping brush. So, what is the best way to clean wood floors when it comes to tough stains? Well, once the floor is free from dust and dry dirt, you can move onto examining tough stains. Some of them may require some extra attention, especially if you intend to mop the floor without the use of a steam or powered mop. People wishing to clean their wooden floor the old-fashioned way, may then apply a cleaning solution to a trouble area and begin removing the stains with a brush. This, no doubt, requires effort and a bit of muscle, but nonetheless is an effective way to tackle stubborn stains. Now the floor is ready for wet cleaning. Using a traditional mop and bucket of hot water, a microfiber dry and wet mop, a sophisticated hardwood floor cleaning machine, or a steam mop, you can now proceed to clean the entire floor. Move the furniture to clean underneath as you progress. If using a floor cleaning machine, the dirty water will vanish into its second tank, removing the need to dry the floor. Steam mops clean with steam, so there’s no need to dry the floor either. However, if going down a more manual, traditional route, drying is an issue. Some people like to go over a floor several times to get rid of dirty water and prevent water stains. In any case, it’s best to dry the floor, especially when the weather is humid or cold. Make sure to open windows and doors to speed up the drying process. If you are asking “what is the best way to clean wood floors?”, the answer has to include some information on polishing or waxing hardwood floors. After all, the floor ought to look shiny and new after cleaning, right? By applying wax and polishing hardwood floors, they will become more stain and scratch resistant. There is no need to polish and wax every time you clean the floor, but it’s best to wax and polish it regularly. That way, the wooden floors become more durable and will look better for years to come. Well, that all depends on the floor type. In general, laminate flooring is easier to clean. To begin with, they feature no grooves between planks, and secondly, there is no need to wax or polish. 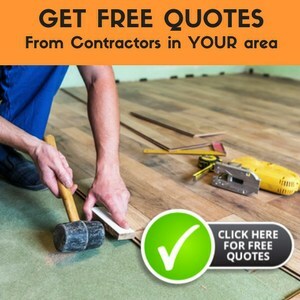 Depending on the grade of laminate flooring, these floors are more or less resistant to wear and tear, but they are all quite easy to maintain. Wooden floors are a little different. For starters, each wood type has its own characteristics. Hardwood, including oak, ash, cherry, and maple are among the hardwood floors that are less prone to scratches, while soft woods like cedar, pine, and redwood are more suitable for low traffic areas in the home because they don’t stand up to heavy wear and tear. All real wood floors require polishing and waxing to enhance the durability and scratch resistance. As mentioned above, if you want to find the answer to the question “what is the best way to clean wood floors?”, the question of cleaning equipment is soon to follow. Floor cleaning machines may be the answer to what is the best way to clean wood floors. These either plug-in or battery-operated mops generally feature one or two water tanks and several brushes. During the cleaning process, the machine releases the water and moves the brushes, making the cleaning process rather effortless. Tough stains are easy to handle with these machines too. The two-tank models even draw the dirty water into the second tank so that there is absolutely no residue. Steam mops use steam to remove dirt, and what’s more, there is no need to use any cleaning detergents. Cleaning wooden floors is easy with steam mops and you can do your bit for the environment. Microfiber mops may or may not feature an internal spray that releases water and cleaning solution at the press of a button. Alternatively, you can use a bucket like you do with a traditional mop. These mops are a step up from old-fashioned mops but hardly the answer to what is the best way to clean wood floors. 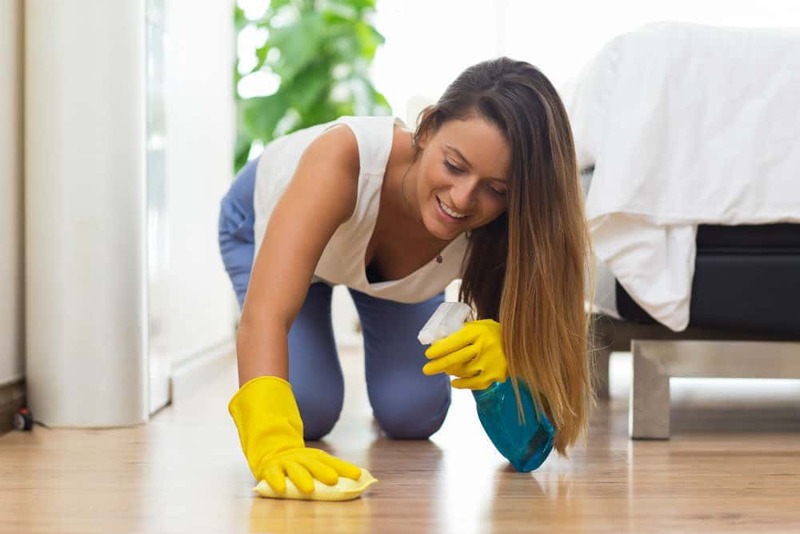 There’s an abundance of wood cleaning products available, whose manufacturers claim to know the answer to what is the best way to clean wood floors. The most important thing to remember is to stay away from harsh chemicals as they may well damage delicate wooden floors. If you are using a steam mop, these issues do not arise, so perhaps they do provide the solution to the what is the best way to clean wood floors question.